If you would like to share memories about these people, please email them to [Click on Name] Doug Woodring or to Bob Brewster and we will put them on the site. 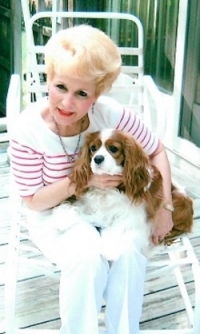 Beloved mother, grandmother, and great-grandmother, Catherine M. Percario (nee Boffo), age 79, of Berkeley Heights, N.J., passed away peacefully on March 12, 2019, in her home. 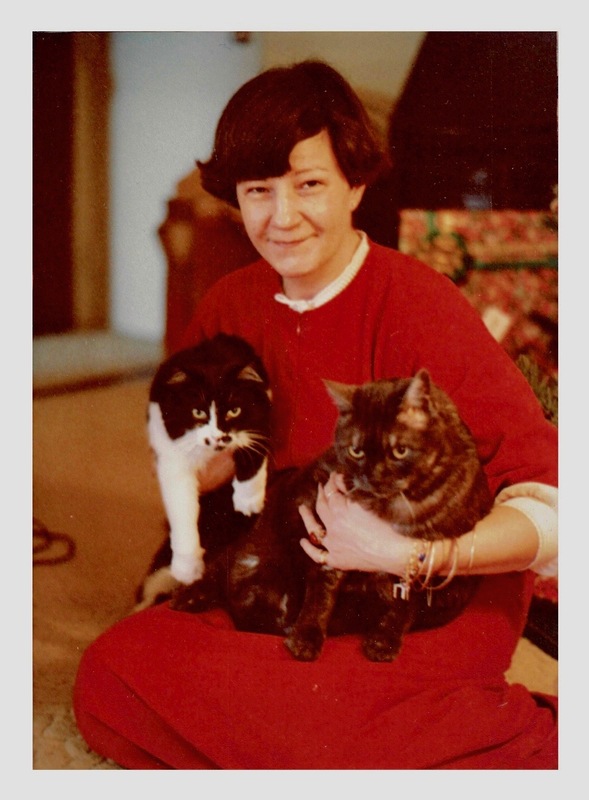 Catherine was born in Summit, N.J., to Carmen and Florence (nee Martini) Boffo. She moved to Berkeley Heights in 1959 to raise her family with her husband, Benjamin W. Percario. Catherine worked as a crossing guard in Berkeley Heights for many years before retiring in 2001. Catherine is survived by her loving children, William and his wife, Karin, Michael, Robert, Benjamin Jr and Patricia Wapelhorst and her husband, Thomas; her six cherished grandchildren, Domenic, Kimberly, Larissa, Samantha, Kristy, Hailie, and her great-granddaughter, Isabella. She was predeceased by her beloved husband, Benjamin W. Percario, in 2018, and her sister, Philomena Di Ionno. Relatives and friends are invited to attend the visitation on Sunday, March 17, 2019 from 2 to 6 p.m. at the Paul Ippolito Berkeley Memorial, 646 Springfield Ave., Berkeley Heights, N.J. A Funeral Mass will be held on Monday, March 18, 2019 at 10 a.m. at Church of the Little Flower, 310 Plainfield Ave, Berkeley Heights, N.J. Interment will be private. For directions or to send the family condolences, please visit ippolitofuneralhomes.com. JOHNSON, Louis H. passed away Sept. 8, 2018 leaving his sister, Elizabeth Fergus; a brother, Richard; and three sons. He grew up in Summit, NJ, served in the Army and moved to Clearwater, where he was very active in various civic organizations. He moved to Ormond Beach, in 1992 with his wife, Judith (who passed away on 9/19/2018). Lou will be missed by his family and many friends. Alfred Irving Stober, 77 years old, of Leominster, Massachusetts died Wednesday, April 11, 2018 at Life Care Center with his wife at his side after a period of declining health. Al was born in Summit, New Jersey, on June 22, 1940, the son of H. Irving and Irene (Wilson) Stober. He is survived by his wife of 53 years, Jane (Donnelly) Stober of Leominster and his three children, Heidi (Stober) Cyr and her husband Ron of Holden, MA, Heather (Stober) Fleming and her husband Tim of Fairhaven, MA and Ryan Stober and his wife Celeste of Lunenburg, MA. He leaves three grandchildren, Tyler and Emaleigh Cyr, and Patrick Fleming as well as several nieces and nephews. He is also survived by his brother Arthur Stober and his wife Carole of Glen Gardner, New Jersey, and his two nephews, Robert Stober of Washington, New Jersey and Thomas Stober of Phoenix, Arizona, or as Al liked to call them, Bobby and Tommy. He was predeceased by both of his parents and his youngest brother, Edward Stober of Westfield, New Jersey. 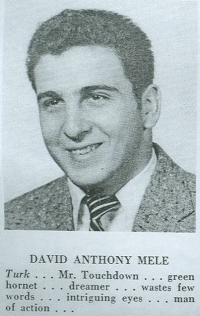 Al graduated from Summit High School in 1958 and Cornell University in 1962. Upon graduating, he entered the United States Army where he served for almost ten years and was a Vietnam Veteran. After two active duty tours in Vietnam, he was honorably discharged as a Captain in January of 1972. While serving, he was stationed in Gelnhausen, Germany where he met Jane Donnelly, a teacher for the United States Department of Defense, and they married in February of 1965. They made many great friends and memories during their stay in Germany before returning to the United States and settling in Leominster, MA in 1973. Al found enjoyment in agriculture and worked for many years at local farms including Manny’s Dairy Farm in Lancaster, MA. He loved tinkering, spending time in his garden, and attending tractor shows, county fairs and other agricultural events. He enjoyed spending time with his son, Ryan, as they shared many common interests. He liked to tell stories about his early years at the family weekend home in Glen Gardner, New Jersey and all the memories he shared with his brothers, parents, friends and neighbors. Over the years, he enjoyed long conversations with his brother Arthur, talking shop and reminiscing about the good old days. Al’s family would like to thank the staff at Life Care Center and Leominster Hospital for their care and attention. A private military burial will be held at the convenience of the family. In lieu of flowers, memorial donations may be made to Leominster Public Library or Leominster Veteran’s Center. 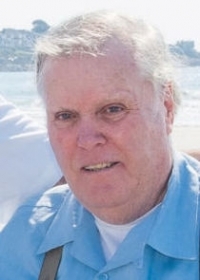 Robert 'Bob' Kubach Caring father, boyfriend, grandfather, and friend to all Robert "Bob" Kubach, 77, of Florham Park, N.J., passed away peacefully on Sept. 22, 2017. Born and raised in Summit, N.J., to Joseph and Helen Kubach, Bob spent most of his life in Madison, N.J. and Florham Park. Bob graduated from Summit High School. After graduating from McKendree University in Illinois, Bob went on to teach physical education and coach multiple sports in Orange, N.J. and Livingston, N.J. Bob was a star baseball player throughout high school and college, and continued to love the sport as well as the Mets for his entire lifetime. Bob was the longtime owner and operator of Madison Transportation, Inc. in Madison, where many of his customers became his longtime friends. Those lucky enough to know Bob knew he was one of the kindest, most genuine men you could know. He was a lover of life and his smile was contagious. He was a simple man who didn't need much to make his days happy. As long as his friends and family were okay, he could rest his head at night. He was a wonderful, loving father who dedicated himself fully to the joy of his children. When his kids were young, he enjoyed spending fun times with them at the beach, fishing, crabbing, going on bike rides, playing baseball, and telling tons of jokes, always making laughs. Bob enjoyed all things to do with nature. As a grandfather, Grandpa Baba was a gentle, happy face who always came with a bag of goldfish and a ball to throw. Bob was extremely loving and proud of his three children, Michael, David, Erin and her husband, Ralph, and his two grandsons, Shane and Aiden. He is also survived by his sister, Lilian, and his lifelong girlfriend and best friend, Joanne. He was preceded in death by his parents, Helen and Joseph Kubach, and his brother, Richard Kubach. Bob was a caring father, boyfriend, grandfather and friend to all. A special thank you to all of Bob's doctors and nurses along the way, as well as the Visiting Nurses Association of Northern New Jersey for their loving care and support. Arrangements are private. Georgiana C. Weeks (nee Conti) of Summit, N.J. passed away peacefully on Saturday, September 9, 2017 at Overlook Medical Center at the age of 76. Relatives and friends are invited to attend the visitation on Thursday, Sept 14th from 5-8 PM at the Paul Ippolito Summit Memorial, 7 Summit Ave, Summit. A Funeral Service will be held during the visitation at 7:00 PM. Interment will be private. Please visit ippolitofuneralhomes.com for additional information and to send a condolence. Georgiana was born in Maplewood, N.J. She was the daughter of Beatrice (nee Buro) and Gerald Conti and a resident of Summit since 13 years old. She was a graduate of Summit High School and later attended Berlitz Language School in New York City. 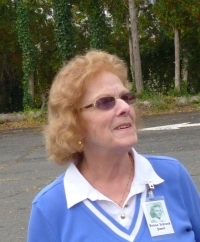 Georgiana was employed as an Officer at Summit Federal Savings for many years before becoming an Office Manager at Conner Capital in Summit until her retirement. She loved animals, especially her dogs, spending time with her many friends but, most of all she cherished the time she spent with her loving family. Georgiana is survived by her beloved husband Robert A. Weeks, whom she married on October 24, 1959. Her loving children: Robert A. Weeks II (Laura), Diana Lyn Riddle (Steve) and Eric Weeks (Stacy). She was the dear sister of: Nat, Rod, Jerry and Sandy Conti and cherished grandmother of: Jessie, Jimmy and Jenna Downs and Clay and Noah Weeks. Donna M. Jewett, 75, of Virgil, New York, died October 23, 2015 at Memorial Sloan Kettering Cancer Center in Manhattan. She was born in Cleveland, Ohio on February 10, 1940 the daughter of Arthur V. Schrock and Virginia M. Schrock. Donna was the beloved wife of Robert T. (Tom) Jewett, the mother of their three devoted children, Andrew T. (Susan) Jewett of Cortland; Elizabeth E. (Adrian) Bayardi of Syracuse; and Daniel A. 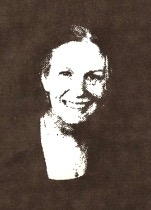 (Suzanne) Jewett of Beverly, MA and the grandmother of seven cherished grandchildren, Michael P. Jewett and Margaret V. (Molly) Jewett of Cortland; Daniel A. Bayardi and Sophia Y. Bayardi of Syracuse; and, Norah K. Jewett, Amelia H. Jewett and Lillian M. Jewett of Beverly, MA. Donna has been looking forward with great excitement to the pending arrival in November of another child to Dan and Suzanne. Donna is also survived by two cousins, Robert T. Schueler and Roberta A. Schueler of Ohio. Donna was raised in Cleveland until her family moved to New Providence, New Jersey in 1951. She graduated from Summit High School in 1958 and received an Associate in Arts degree from Green Mountain College in 1960. In 1962 she earned a Bachelor of Arts degree in education at Newark State College (now Kean College). She and Tom married on June 29, 1963 while he was a student at Cornell University. Donna taught third grade from 1963 to 1965 in the Dryden School District. She later taught third grade in Marcellus while Tom was attending Syracuse Law School. In 1971-72 Donna taught kindergarten at the Military Dependent's School at Incirlik Air Force Base, Turkey while she and Tom were stationed at that installation. Donna became a classroom teacher for Tompkins County Head Start in 1985 and retired in 2004 as Educational Coordinator for that program. From the time of her retirement and until her death she served on the board of directors of Tompkins Community Action which is the sponsoring agency for Head Start in Tompkins County. Donna was a graceful and attentive hostess to all who gathered at her table and always made everyone feel welcome and at ease. She felt that all holidays and milestones in the lives of family and friends should be enthusiastically celebrated. Donna loved to travel. She was a frequent visitor to Ireland and traveled extensively in Europe and the Middle East. Donna had a teacher's instinctive love for all children and there was a special place in her heart for dogs and horses of whom she had many in her life time including a number of abandoned dogs and rescued horses. She was a wonderful wife, mother and grandmother and a dear friend to many. She will be greatly missed. The transition of her life was on January 16, 2015 at home. Ms. Stewart was a life time resident of Summit NJ. She was a life time member of the Pilgrim Baptist Church and served as both a missionary and as a choir member. She was also a member of the Golden Rule Chapter 50 in Vauzhall, NJ., the Golconda Court #16 in Newark, NJ and the Daughter's of Isis. Ms. Stewart was employed at Verizon for 27 years. She leaves to cherish her memory, her daughters Carla Stewart Watson and Carlynn Stewart, her sisters Dorothy Alexander and Virginia Anderson, 10 grandchildren, 16 great grandchildren. Ms Stewart was predeceased by her parents Elizabeth and William Johnson. Bruce Charles Ruhnke, 74, of HampsteadDied Thursday, October 2, 2014 at New Hanover Regional Medical Center. Bruce was born September 7, 1940 to the late Lillian and Daniel Ruhnke, in Newark, NJ. He was also preceded in death by a son, Christopher Ruhnke and a beloved aunt and uncle, Ethel and Frank Randall. Bruce grew up in Summit, NJ and was an all-around athlete competing in baseball, football, and basketball at Summit HS, graduating in 1958. He then attended Lafayette College in Easton, PA and became a member of the Delta Upsilon fraternity and earned a BS in Economics in 1963. Bruce’s career was in the banking industry and he retired in 1989 from NJ National Bank in Edison, NJ as Assistant Vice President. Bruce and his wife moved to Topsail Greens in 1989 where he traded in his wing tip shoes for work boots and was a member of the grounds crew on Belvedere Golf Course for the next 15 years. Bruce was a proud and loyal NY Yankees fan and could always tell a story about some obscure Yankee player from years past with total recall. He was a consummate story teller and entertained family and friends with his wit and warmth. He will be truly missed. Bruce is survived by his loving wife of 33 years, Lynn, son Craig Ruhnke of Myrtle Beach, SC, step-daughter Heidi Kutcher of Silver Spring, MD, sister and brother-in-law Kathryn and James Honeycutt of Leland, NC, daughter-in-law Tina Ruhnke of South Plainfield, NJ, grandchildren Sam and Angela Ruhnke of South Plainfield, NJ, step-grandchildren Amanda Lenahan of Ocean Grove, MJ and Chris Lenahan of Wall, NJ. A memorial service will be held at Holy Trinity Episcopal Church in Hampstead on Friday, October 10, 2014 at 4 PM with the Rev. Pamela Stringer officiating. In lieu of flowers, memorials may be made to the Summit Football Alumni Association, 125 Kent Place, Summit, NJ 07091 or the Pender County Humane Society, 1407 NC Hwy 53 West, Burgaw, NC 28425. David P. Johnson, 72, a resident of Falmouth, died on Tuesday, April 2, 2013, from Alzheimer's disease surrounded by family and friends. Dave and his twin brother Donald were born on June 4, 1940, in Washington, D.C., and were adopted by James E. and Ruth Brent Johnson. 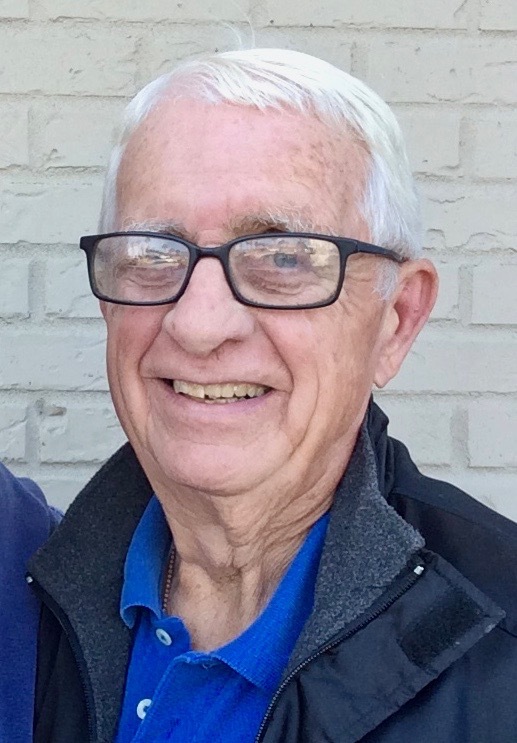 Dave grew up in Murray Hill and Summit, N.J., and in Hinsdale, Ill.
Dave graduated from Summit High School in 1958 and attended Nichols College in Dudley, Mass. He served in the U.S. Navy from 1960 to 1965. He worked for Burlington Industries in North Carolina, Arkansas and Virginia. 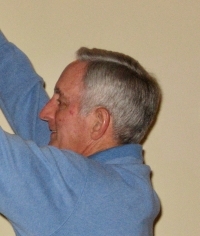 He then worked from Maine in industrial sales for the Henkel Loctite Corporation from 1990 to his retirement in 2005. Dave had a life-long love of contra dancing, learned to play the fiddle during the last 25 years of his life and actively pursued art and woodworking during his retirement years. He loved his neighborhood walks, complete with walking stick! His family was the center of his life. The most treasured times of his childhood and many of the past 25 summers were at Tolman Pond in Nelson, N.H., where he was also known as Butch Johnson. Dave is survived by his wife, Lynne W. Russell-Johnson, and daughters Jade Russell-Johnson, Wendy K. Johnson, Jenny R. Kane, Anna-Lisa, and Karina Russell; and, eight grandchildren, one great-granddaughter, and, his twin brother, Donald B. Johnson and his wife Kris of Rockland, ME. The family would like to thank all the people who helped Dave during the long years of his Alzheimer's disease: family members; friends; the Allen Avenue UU Church community; the Maine Medical Geriatric Center staff; volunteers from the Alzheimer's Association of Southern Maine; staff at the Barron Center Adult Day program; home caregivers from Home Instead; staff at Sedgewood Commons; and Hospice of Southern Maine. Relatives and friends will be invited to a private service at a later date to celebrate Dave's gentle and loving life. David wrote in my yearbook, "I do hope you always have a good time in the future," Raise hell, etc...." He signed it "Butch Johnson" although I always called him David. His obituary appeared in this morning's paper. According to the article, his twin brother, Donald, lives in Rockland, Maine. Jonathan Meincke, VMD, died in Blythewood, South Carolina, on Saturday, Jan. 23, 2010. He was a graduate of Summit High School and had attended grade school and middle school in Summit as well. He received his veterinary degree from the University of Pennsylvania in 1964. Dr. Meincke founded the Coldstream Animal Hospital in 1972, which grew to four satellite locations. In 1972, Dr. Meincke started Crystal Pools which was the first shotcrete pool company in South Carolina. Crystal Pools’ legacy is continued by his wife, Elaine Meincke and his daughter, Alison Felschow. Dr. Meincke started Companion Animal Hospital in 1993. Companion Animal Hospital continues under the direction of Dr. Meincke’s daughter, Jean Rutkowski. Dr. Meincke was an avid golfer and scuba diver. He leaves his two beloved Norwich Terriers, Millie and Roxie; his wife of 51 years, Elaine Meincke, also from Summit, NJ; daughters Jean Rutkowski, Dinah Garvin and Alison Felschow; grandchildren, Dexter Decell, Jessica Decell, Madison Felschow and Cole Felschow; his brother Richard Meincke, and his sister Cindy Thomoyski. Connie passed away at her home in Socorro, New Mexico on September 6, 2003 after a long battle with throat cancer. Her children Gordon, Nathan and Laura, and her husband Harry Epstein wish to celebrate her life in the town where she lived for thirty years and raised her family. Please attend the two events in memory of Connie on August 1, 2004.